Texas Bed and Breakfast Convention, Here We Come! 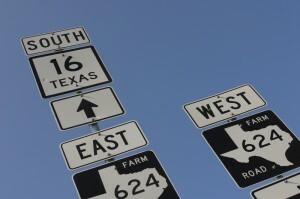 - InsideOut Solutions, Inc.
Texas Bed and Breakfast Convention, Here We Come! Steven Dunston, myself (Katie Pate) and company President Pat McCauley will be leaving this weekend to fly over to Granbury Texas for the annual Texas Bed and Breakfast Convention. We are pleased to be presenting on multiple subjects throughout the event, including Facebook marketing, blogging and general marketing makeovers. In fact, SEO Manager Steven Dunston will be presenting the kick off talk, “Web Stats Boot Camp”. Steven will also be presenting some of the great results we have seen since launching the new Texas association site about one year ago (in September). Not only did we design the site for them, we are also helping them with their blog, and running AdWords for them. It is going to be great to share with the Texas association how all of their different marketing efforts have really paid off for their members! We are also looking forward to sharing our insights on the emerging marketing opportunities that are present in blogging and Facebook. Since we began giving lectures on Facebook last Spring, the format for the social networking site has gone through adjustments, and we have learned more about this ever-growing social platform. Of course we will also be giving out our complementary ranking reports to all innkeepers that registered ahead of time for the conference . We look forward to seeing current clients, and maybe making some more new friends!